Shifting consumer appetites present an exciting challenge for the pizza business. 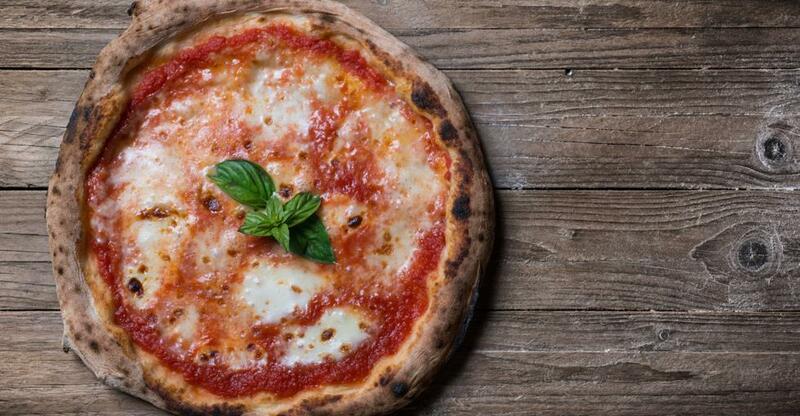 If you’ve just acquired a pizzeria or pizza delivery business, here are some tips on exploiting the latest trends in pizza – from thin crust to stuffed crust, from traditional Sicilian dough to gluten-free alternatives. And it’s not just consumer tastes that are changing; innovative ways to get restaurant-quality food delivered right to their doorstep have emerged too. It’s an exciting time to be part of the sector. There’s plenty of fresh thinking over dough, toppings and preparation methods as pizza remains Australia’s favourite takeaway food, bringing in $4 billion in revenue for the food service industry annually. According to IBISWorld research, traditional pizzas represent 42.7 percent of the products available, although gourmet and speciality pizzas represent a rapidly growing 22.6 percent. The consumer is demanding more eclectic menus – spanning super-thin crusts to stuffed crusts, gourmet ingredients and ‘authentic’ methods, and gluten-free, vegan and other dietary options. And these trends apply both to restaurants and takeaway/delivery specialists. ‘Master Pizzaiolo’ Phillip Bruno, whose Melbourne-based establishment specialises in Sicilian-style pizza, focuses on quality and authenticity. “We make pizza precisely the way it was made 300 years ago – the recipe is listed with UNESCO,” he told BusinessesForSale.com. So, one of your first priorities upon taking over your new business is reviewing the menu. Which market are you catering to? Does it lean towards safer, traditional pizza with a lower price point, or the gourmet end of the spectrum with a higher price point? Beware of changing things too drastically, too quickly, lest you alienate repeat customers – especially if the business is thriving. But you could bring in new business without alienating existing customers by expanding rather than completely replacing your menu. However, a longer menu adds complexity to your operation. Nevertheless, if you’ve bought a failing business for a knockdown price, you’ve nothing to lose and everything to gain from a complete revamp. Phillip Bruno said his restaurant, Scoozi, “was in such poor condition when we bought it. I built my own pizza oven with tiles brought over from Italy.” His hard work resulted in Scoozi featuring in The Age’s Good Food Guide. What are the demographics of immediate foot traffic and the local area? To what extent does the current menu meet their needs? How does your offering compare to that of local competitors in terms of menu, prices and popularity? Can your existing kitchen equipment accommodate the new menu? Do you need a wood-fired oven, for example? Are your staff trained in making, say, traditional Sicilian pizza if that is your new focus? Do your decor and furniture reflect your new offering? A premium menu needs premium comfort and style. A gourmet-standard menu also means higher quality, pricier ingredients – and therefore higher prices. A takeaway or delivery pizza is as much about speed and price as it is about quality and variety. Anything you can do to optimise the first two without sacrificing the latter two is worth doing. This might involve research into time-saving systems deployed by other pizzerias, training your staff accordingly and investing in better equipment. Once you’ve optimised your menu, you need to make sure people know about it. You might host a special relaunch evening to reopen your restaurant under new management, perhaps with heavily discounted meals. If the previous owners were particularly successful, though, you may be wise not to highlight the change of ownership. These days, one of the crucial differences between a successful pizzeria or delivery service and an unsuccessful one is how they harness technology. Ease of ordering makes a huge difference to whether a customer decides to proceed. Enhancing the online payment process – perhaps introducing quicker payment choices like PayPal –optimising your website for mobile and making your phone number more prominent will all help. Some franchises have in-house apps. For the small operator, however, it’s rather more practical to get listed on Eat Now and Menulog – with no fees or contracts involved, it’s a no-brainer. Even if you’re a restaurant, introducing delivery could create an additional revenue stream without actually providing the service yourself. Third-party apps like Menulog, Deliveroo or Uber Eats have revolutionised the way people eat – enabling them to get restaurant-quality food delivered to their homes. Whatever niche you target, you must pay heed to consumer trends both in food and technology. Capitalising on these trends could make all the difference. But making progress is as much about daily, incremental improvement as it is about dramatic change: “Every day I try and find at least three things I can make better – I’m disappointed if I don’t manage it,” says Bruno. Still haven’t bought a business? Check out our pizza restaurants for sale or takeaway businesses for sale.